By following this formula, you should be able to get yourself a great sounding mix and have a clear path to getting there. Let's dive in! The first place that I always start is to balance the mix as best as I can before I begin anything else. So first off, set all the faders to -∞ in your DAW. Then start pulling them up and blending them with each other by only changing the volume and the panning. Feel free to start with the instrument you prefer, but I like a bottom up approach. I start by pulling up the drum mics, getting them feeling good together, then I add in the bass, then guitars or keys, then vocals. 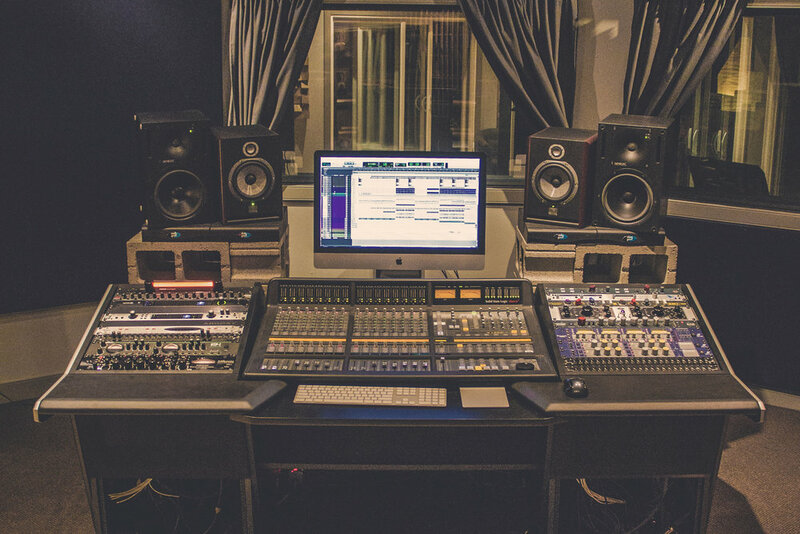 Some mixers like to start with vocals, as it is the center piece of the song. Find what works for you! If you're a Pro Tools user, I have some additional tips for you. Make use of VCA Automation, as it can help you adjust volumes of individual tracks in a group, as well as the entire group itself. I typically make VCA's for my kick, snare, toms, cymbals (overheads, hats, rooms), the whole drum kit, any bass instruments, guitars, keyboards, vocals, and one for the entire mix. While the VCA's are active, I can change the volume of any track within a group, but also reach for the VCA fader to adjust the volume overall. Awesome! Make sure you're thinking about gain staging while you're balancing. It's a good idea to have a meter on your mix bus, possibly on your sub group busses as well. We like to use the Klanghelm VUMT Meters. Aim for a healthy mix bus level of 0 dB VU, or -18 dB FS. Give the guitars some 5-8 kHz boost. I like using the Pultec EQP-1A for that. Use a hi pass filter on almost everything. Even the kick drum and the bass, but be a little more gentle on those two. This will give the rest of the mix some clarity. Those are basics that work for me, but feel free to explore what works for you. Create two parallels for each bus (drum bus, guitar bus, vocals bus, etc). Experiment with compressors for different flavors. Create an overall mix parallel bus. Start all parallel busses at -18 dB in your DAW. Work up from there. A reasonable benchmark for the amount of each parallel is making sure that the parallel bus increases the overall volume by roughly 1 dB when it's engaged. So let's say there's a drum parallel. Find the point where the volume of the drums increases by roughly 1 dB when the parallel is engaged. Put a plate reverb on the snare. Try 1500 ms length. Set up a slap delay for the vocals, mix to taste. Use a stereo delay to widen things out or give them some depth. I like this on lead guitars. Use a medium delay on vocals, mix to taste. Try about 350 ms delay time. Use a hi pass filter on all verbs and delays where needed. This prevents low-end accumulation. One quick tip, try to decide on what instruments you're going to add the effects to in advance. Adding time-based effects to everything will simply clutter up the mix, and will negate the intended effect. Being selective will go a long way. Studer A800 Tape Emulator. This is usually in "gang control" mode with other tracks, but it helps warm up the sound. Fairchild 670 Compressor. This compressor is pretty gentle when on setting 5, so it's a nice easy way to smooth out the dynamics. I set the threshold so that the gain reduction is about 1 dB at most. SSL G Buss Compressor. The G Buss comp is much more punchy than the 670, so we get a bit more pump and energy. I generally use 2:1 ratio, .3 ms attack, and auto release. I set the threshold so that the gain reduction is about 2-3 dB. Pultec EQP-1A. I can use the Pultec to add a bit of sparkle and a bit of meat. Try adding 1 dB of 30 Hz on the low end, and 1 dB at 12 kHz on the top. Nice! Pultec MEQ-5. Sometimes the lower mids can cause the mix to get a little muddy, so having this in to cut some 200 or 300 Hz really helps. If you have to cut more than 1 dB, you probably should go back into the individual tracks to find where the problem is. Fabfilter Pro L Limiter. I use this to get an idea of how the mix is going to hold up in mastering. I use the K-12 Standard and push it into the recommended range. Once you've added everything in, you'll notice that the original balance you had is not the same. Actually, you'll notice that the sound generally shifts as you take each of the above steps. So at this one, you're going to re-balance the mix, adjust any required EQ and compression, and adjust the wet/dry of the time-based effects you were using. Ok, that's it guys! Hope that gives you some direction for your next mix, and please comment below if you have any questions, suggestions, or alternative methods you would like to share. If you're looking for more updates from Velveteen Audio, feel free to follow us on social and sign up for our email list! Get a FREE Pro Tools Template!